Preheat the oven to 150C/300F/Gas 2. Line a 23cm/9in square cake tin with baking parchment. Add in the caster sugar and pulse again until combined. Melt the chocolate in a bowl set over a pan of simmering water (ensure that the bottom of the bowl does not touch the water), stirring occasionally. I like a mixture of dark and milk chocolate but whatever you use make sure you don't overheat it as the chocolate will 'bloom' (whitish coating on the surface of the cooled chocolate). 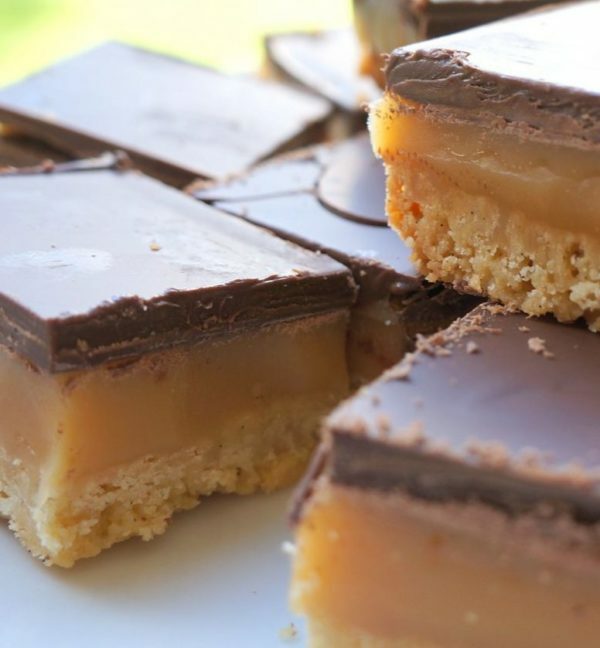 The beauty of millionaire's shortbread is that it can be adapted to suit your taste. Like thicker shortbread and caramel layers? Make it in a 20cm/8in square tin and bake the shortbread for ten minutes longer.